Transition from the surf to the turf with this all-terrain, all-day walk short for little boys. Maintaining classic chino lines, the little boys' hybrid boardshort is designed to travel, offering up both boardshort and walkshort functionality in one pair. Performance details include a 4-way stretch blend, Micro-Repel and zippered back right pocket to keep your goods secure in the surf. 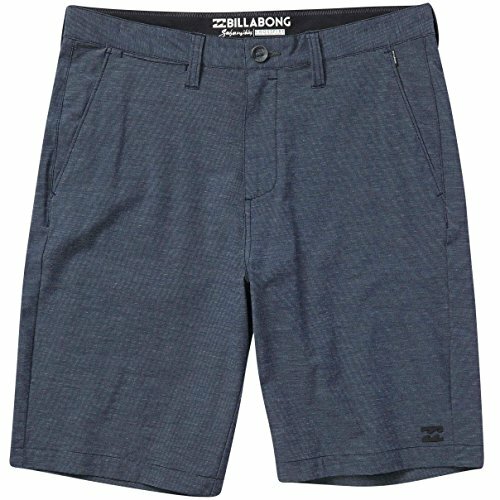 Little boys' hybrid short / boardshorts. Chino styling. 4-way stretch fabric. Micro Repel water repellent coating keeps fabric light and quick drying. Side pockets. Back welt pockets with zipper at back right pocket. Mesh pocket bags. Word mark label above back pocket. Welded wave logo at left hem. Zip/button closure. Regular Length - Core Fit: 15 inch outseam. Material: 4-way stretch blend.